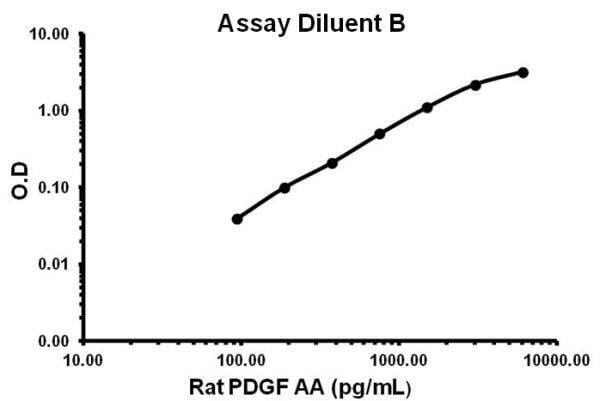 Abcam’s PDGF-AA Rat ELISA (Enzyme-Linked Immunosorbent Assay) kit is an in vitro enzyme-linked immunosorbent assay designed for the quantitative measurement of rat PDGF-AA in serum, plasma, and cell culture supernatants. 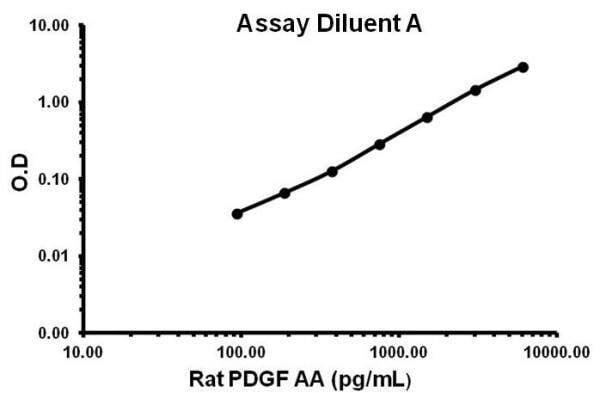 This assay employs an antibody specific for rat PDGF-AA coated on a 96-well plate. Standards and samples are pipetted into the wells and PDGF-AA present in a sample is bound to the wells by the immobilized antibody. The wells are washed and biotinylated anti-rat PDGF-AA antibody is added. After washing away unbound biotinylated antibody, HRP-conjugated streptavidin is pipetted to the wells. The wells are again washed, a TMB substrate solution is added to the wells and color develops in proportion to the amount of PDGF-AA bound. The Stop Solution changes the color from blue to yellow, and the intensity of the color is measured at 450 nm. Function: Growth factor that plays an essential role in the regulation of embryonic development, cell proliferation, cell migration, survival and chemotaxis. Potent mitogen for cells of mesenchymal origin. Required for normal lung alveolar septum formation during embryogenesis, normal development of the gastrointestinal tract, normal development of Leydig cells and spermatogenesis. Required for normal oligodendrocyte development and normal myelination in the spinal cord and cerebellum. Plays an important role in wound healing. Signaling is modulated by the formation of heterodimers with PDGFB. Subunit structure: Homodimer (AA); antiparallel disulfide-linked dimer. Heterodimer with PDGFB (AB); antiparallel disulfide-linked dimer. The PDGFA homodimer interacts with PDGFRA homodimers, and with heterodimers formed by PDGFRA and PDGFRB. The heterodimer composed of PDGFA and PDGFB interacts with PDGFRA homodimers, and with heterodimers formed by PDGFRA and PDGFRB. Interacts with CSPG4. Our Abpromise guarantee covers the use of ab155464 in the following tested applications. Representative standard curve using ab155464 - Assay Diluent A. Representative standard curve using ab155464 - Assay Diluent B. Publishing research using ab155464? Please let us know so that we can cite the reference in this datasheet. There are currently no Customer reviews or Questions for ab155464.